A downloadable version of this article is available here so that you may save this resource for future reference. For over 25 years, Dr. Gil Wernovsky has focused on optimizing long-term functional and developmental outcomes for children with congenital heart disease. He is truly a pioneer and ongoing leader in this area. Gil’s career has exemplified excellence in multiple domains including: pediatric cardiology, cardiac intensive care, and administration. Currently he holds the position of Medical Director of Patient- and Family-Centered Care at Miami Children’s Hospital. In addition to this innovative position, Dr. Wernovsky continues to provide attending services in the cardiac intensive care unit, hold outpatient clinics, serve on numerous scientific advisory boards, and provide mentorship to students, fellows and junior faculty. Dr. Wernovsky has done extensive research on the long-term outcomes of congenital heart disease, particularly transposition of the great arteries and single ventricle heart disease. He has published over 250 peer-reviewed manuscripts, editorials and chapters, in addition to editing 8 books. 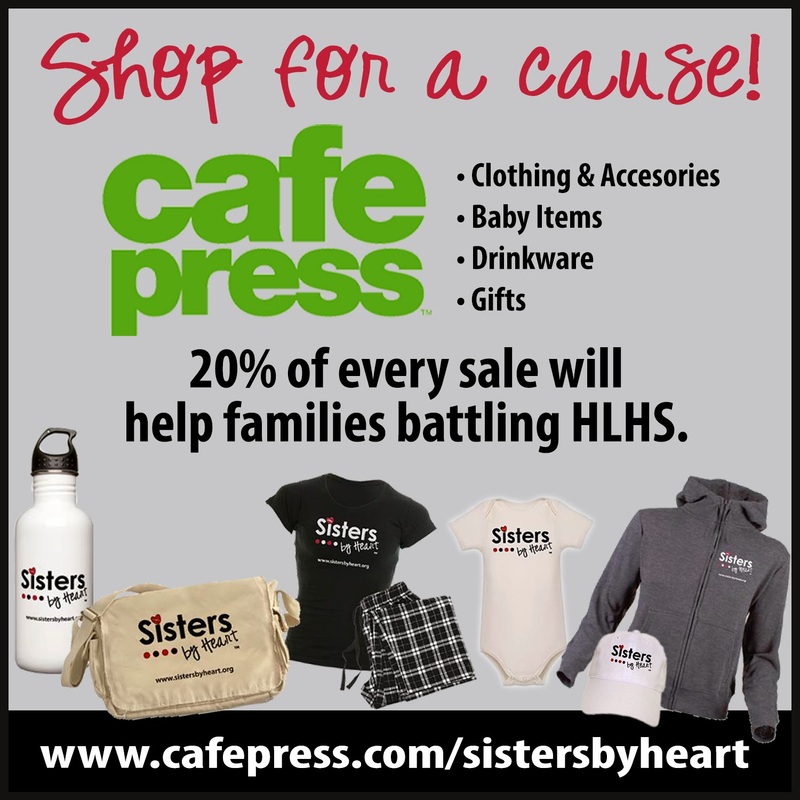 Dr. Wernovsky is a long-time supporter of Sisters by Heart and our mission to support and empower HLHS families. We greatly admire his dedication not just to the CHD population, but to their families as well. In the United States, over 35,000 infants are born each year with CHD, and more than a third of these infants will undergo surgical interventions in the first year of life. It is estimated that there are more than one million adults now living in the US with a variety of congenital heart defects. This figure includes over 150,000 adults living with “complex CHD (cCHD)” - CHD severe enough to require surgery in the first months of life. Due to improved survival rates, there are even larger numbers of school-age children with cCHD. As initial survival has increased significantly, greater attention has been directed toward understanding the long-term behavioral challenges, academic performance and functional outcomes of this growing group of children and young adults. What are the types of difficulties that children with cCHD have, and how frequently do they occur? What are the causes of these difficulties? What are the best treatments for these problems? How can we decrease the frequency of these problems in the future? What are the types of difficulties that children with complex CHD have, and how frequently do they occur? As a group, children with cCHD have a higher likelihood of academic, behavioral, coordination and social problems compared to children without CHD. This does not mean that all children with cCHD have these difficulties (in fact, approximately ½ have normal development in every respect), but the number of children is significantly higher than that seen in the general population. These problems seem to be more prevalent in children with cCHD compared to less severe forms of CHD that either don't require surgery, can be repaired during a heart catheterization (for example, an atrial septal defect or patent ductus arteriosus), or don't require surgery until later childhood. In infancy, problems that are more prevalent in babies with cCHD include feeding difficulties (perhaps in half of all children requiring neonatal heart surgery) and delays in reaching some motor milestones such as rolling over, crawling or walking. Most newborns achieve full feedings by mouth shortly after discharge from the hospital, but some require supplemental feedings through a feeding tube into later infancy and beyond. While delays in motor skills are extremely common, most milestones are only delayed by a few months. Many hospitals now recommend speech and physical therapy consultations after newborn heart surgery for evaluation and treatment recommendations. In preschool children with cCHD, there is a growing recognition of delays in certain elements of speech and language. To greatly oversimplify, speech and language can be broken down into two components: receptive language (the child hears and understands words), and expressive language (getting the words out with proper grammar and pronunciation). In most children with cCHD, receptive language is normal: if you say “point to the apple”, the child will point to the apple. However, expressive language is delayed: when you point to an apple and say “what is that?”, even though the child knows it's an apple, he or she can't seem to “find the word”. In addition to delays in expressive language, some preschool children with cCHD (probably about 1/4) have ongoing difficulties with motor skills, including large motor (clumsiness) and fine motor (drawing, cutting) delays. In most children, these problems improve by the time they enter school. As children with cCHD enter primary and secondary school in larger numbers, there is a growing recognition of a combination of challenges that may combine to cause academic and social problems. Attention deficit/hyperactivity disorder (ADHD) is a term that may be over applied in our current society, and is an extremely complicated combination of learning and behavioral interactions. Again to greatly oversimplify, the main components are impulsiveness, easy distractibility and hyperactivity. As we look more carefully at children with cCHD, various aspects of ADHD occur in perhaps one third to one half of children, which is perhaps two to three times higher than that seen in the general population. It is not clear if continued frustrations with speech and fine motor (handwriting) control are related to the higher incidence of ADHD—in other words, which is the chicken and which is the egg? Two related issues are now also being seen in larger numbers of school age children with cCHD: problems with visual-motor integration and executive planning. Visual-motor integration is the ability to coordinate thoughts and images into action. In adults, for example, driving a car represents highly complex visual motor integration. In school-age children, however, learning handwriting represents a particular challenge: seeing handwriting on the board, knowing that it's a particular letter, and getting the hand to make the letter can be very frustrating to an otherwise bright child. As you can see, handwriting is a common theme, and many parents have told us that their child's handwriting is “one of the worst in the class”. Executive planning is a feature that allows us to plan out a course of action. For example, first I will get dressed, then I will go eat breakfast, then I will pack my bag, and then head off to school. As the number of tasks increases, it becomes increasingly difficult to coordinate and/or remember. Some children with cCHD have a particular problem in this area, but the exact frequency of this problem is currently unknown. Finally, there are no studies as of yet to determine whether ‘higher order’ intellectual functions (such as complex mathematics or learning a second language), or artistic talents (such as painting or music) will be affected in our children with cCHD. Although it is tempting to point at “one” feature as the cause of the problems I've outlined above, that would be a terrible oversimplification. We are only now beginning to recognize that the effects of cCHD on the brain of children with CHD are multiple, and cumulative over the early years of development. Following conception, the preliminary portions of the brain form at exactly the same time that the heart forms, in the first trimester. In most cases, whatever caused the CHD has left its mark on the heart by the end of the first trimester; in most cases cCHD is essentially determined by the end of the 8th week of gestation. In contrast, the brain continues to develop and mature throughout pregnancy. We are just beginning to learn that the abnormal circulation caused by cCHD in the fetus is responsible for brain abnormalities present at birth. It is now recognized that congenital heart disease and “congenital brain disease” go together in many children. However, it is impossible to determine which is the chicken and which is the egg. Does the same factor or factors that cause CHD also cause brain abnormalities as well? Is the brain “wired” the same way in children with CHD compared to normal? Does the abnormal fetal circulation put an abnormal fetal brain at greater risk? These are questions that are only now being investigated, as technologies such as fetal and newborn magnetic resonance imaging (MRI) become more routinely available. Recent studies suggest that the brain is either structurally or functionally abnormal at birth in up to 25% of newborns with cCHD. The brain of many children appears ‘immature’, several studies have shown that the brain of a full term infant with cCHD has the complexity (or “maturity”) of the brain of a 35-36 week gestation infant without cCHD. Importantly, the incidence of brain abnormalities at birth in children with less complex forms of CHD is considerably less than described for cCHD. In past research, much attention was paid to the details of the operation. How long was the operation, how low was the regulated body temperature during surgery (hypothermia), did the circulation need to be stopped completely (hypothermic circulatory arrest) during the most delicate part of surgery? While these factors are certainly important to the brain and later development, we are beginning to realize that many other factors, both before and after surgery, play an even larger role. Recent work suggests that the effects of surgery, the heart lung machine and anesthesia contribute only a small amount to later development, explaining less than 10% of the variability in performance that we see in our children. Nonetheless, the amount of time a patient spends on the heart-lung machine during the operation is a research topic of considerable interest, in particular, the time spent in "hypothermic circulatory arrest". While it is beyond the scope of this summary to go into all of the details, the majority of studies have shown little to no effects for short periods of cardiopulmonary bypass and/or circulatory arrest. There is general agreement that shorter periods of both cardiopulmonary bypass and hypothermic circulatory arrest are preferable to longer periods, exactly how long and in what combination continues to be a subject of research and controversy. Importantly, newer recent studies are showing that longer overall stays in the intensive care unit and hospital as a newborn are associated with worse school performance years later. This most likely reflects the cumulative effects of the CHD and its treatment. Research is very active in this area, as is research in the long-term effects of acute stress and longer-term post-traumatic stress of the parents on later development in the child. For many parents of school age children with cCHD, the early infancy months may seem like a blur, just getting by day-to-day. The conscious (or sub-conscious) fear of a child’s upcoming surgery, an unexpected medical problem or an unknown life-expectancy may play subtle roles in child rearing, limit setting, behavioral control, promoting independence and goal-setting, with secondary effects on later school performance and/or social development in some children. Unfortunately, the research into the treatment of the problems I've outlined above is still in its infancy. It has only been in recent years that the increased incidence of hyperactivity, school and behavioral difficulties has been recognized. Prior to that time, there were simply not enough children old enough who survived with different forms of cCHD for this to be fully recognized. Increasingly, physicians who care for young children with CHD suggest formal developmental testing in infancy and the preschool years to identify potential problems and institute therapies such as speech therapy, occupational and physical therapy, and to recommend changes in learning environments that facilitate learning in children with different strengths and challenges. The American Heart Association has recently published guidelines in this area. In our opinion, there is insufficient data at the current time to comment on the safety or potential benefits of the psychotropic drugs (for example, stimulant medications for ADHD, anti-depressants, etc.) in children with cCHD. Many of the medications currently available for children with structurally normal hearts slightly increase the risk of rhythm problems; and children with CHD are possibly at increased risk for rhythm disturbances when using these medications. It must be emphasized that no large study has determined how safe (or dangerous) these drugs are in children with CHD, or even if they work the same way as in children without CHD. The decision to use medications to deal with behavioral issues or ADHD must be individualized to the child, balancing the unknown risks of these medications in children with CHD against the lifelong implications of academic and social difficulties. Close follow-up, planning and surveillance are warranted when beginning any new medication. Finally, it must be recognized that the early stress of the diagnosis and treatment may cause psychological stress for years or longer - both in the child and the caregivers. One of the goals of our program is to validate these feelings, to recognize the incredible stress a diagnosis of cCHD has on an entire family unit, and to strongly recommend counseling and evaluation by trained professionals in this area. This is a very new concept and is being met with some resistance, almost as though asking for mental health help is a sign of “weakness” or somehow admitting to ineffective parenting skills. Sadly, there continues to be a stigma associated with mental health issues such as anxiety, depression, bipolar disorders etc, for which early treatment (medical and therapy) have been shown over and over to improve results. Parenting a child with cCHD is tough. Very tough. It affects the marriage, the siblings, the grandparents, and everyone involved. We now ask many families to strongly consider professional help as soon as the diagnosis is made, and to continue along with the ongoing medical and psychological issues faced by the entire family. This model of preventative counseling for PTSD, pioneered preventatively by members of the military, is solid, and it works. Importantly, we strongly believe that this type of mental health approach for the family will have major benefits over the long term for the child with cCHD. In my opinion, the outlook for our children with cCHD remains quite optimistic. There are certainly continued challenges in improving overall quality of life. Not only are patients surviving longer compared to one or two decades ago, but serial studies show improvement in many areas of functioning when compared with older children who were repaired in the past. It must be emphasized that it is quite difficult to apply the results (standardized test results) of our current school-aged children (who were diagnosed and treated in the 1990's) to our babies born in 2010-2015. This is due to significant improvements in the last two decades—including prenatal diagnosis, post-operative care, and a better understanding of cardiopulmonary bypass. A number of additional factors will ultimately contribute to the academic success of our children, including parent and teacher expectations. It is highly likely that babies born today will have better outcomes than those born just a generation before. The best way to improve the outcomes for future generations is a continued partnership between patients, parents, researchers, nurses and physicians. It is crucial that physicians, parents and patients continue to advocate at the government level for research monies directed at the cause and treatment of heart disease in children as well as its secondary effects on brain development and quality of life. Philanthropic contributions play a significant role in start-up funds for research as well. Finally, if families and children are willing, voluntary participation in clinical research studies remains the cornerstone of the process. Some identified risk factors for academic and behavioral difficulties include: complex CHD requiring multiple operations, a long hospital stay, and multiple unplanned interventions. Health-related quality of life is also affected by the number of medications necessary and number of doctor visits per year. Parenting children with hypoplastic left heart syndrome: Finding a balance. Lee A and Rempel GR. Journal for Specialists in Pediatric Nursing Volume 16, Issue 3, pages 179–189, July 2011.